For a long and strong supply of hot water, choose gas water heating. Call us on (09) 520 1978 for the best products, installation and maintenance. 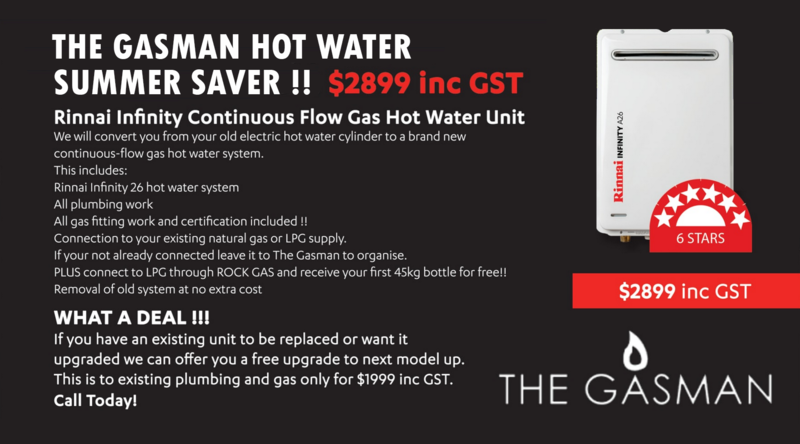 At The Gasman we understand that there’s almost nothing more annoying than losing hot water half way through a shower. That’s why we stock a wide range of high quality water heating appliances. With gas, you can enjoy a longer, stronger and warmer shower and still have hot water for the rest of your needs. To keep it working at its best, we can take care of installations, maintenance and repairs too. So what are you waiting for? Explore our range of gas water heating products now. Get more out of your hot water with the best products and maintenance for both commercial and residential applications. Call (09) 520 1978.